The Women Who Rock Digital Oral History Archive is hosted by the University of Washington Digital Libraries Initiatives and fosters the development of participant-driven scholarship, on-line exhibits, curriculum, and media production. The on-line archive of oral histories, which is accessible to the public and available to fans of music scenes, students and scholars, went live in March 2013 with 15 oral histories. We are in the process of getting many more oral histories into the archive within the next year. This collection will expand as we continue to conduct more oral histories, generate more programing, and create new media and scholarship in coming years. Visit the Archive. Alice Bag (Velasquez). The Bags, Los Angeles. Zoe Abigail Bermet. Home Alive, Seattle. Luzviminda “Lulu” Carpenter. Ladies First & Hidmo, Seattle. Onion Carrillo. Ladies First, Seattle. Georgina “Gigi” Frazier. Ladies First, CARA, Seattle. Maria Elena Gaitan. Los Angeles. Girl in a Coma (Nina Diaz, Phanie Diaz, Jenn Alva). San Antonio. Martha Gonzalez. Quetzal, Seattle Fandango Project, Seattle. Gretta Harley. Home Alive, Seattle. Ruth Lockwood. Willie Mae Rock Camp for Girls, Seattle. Cristien Storm. Home Alive, Seattle. Sherrie Tucker. University of Kansas. 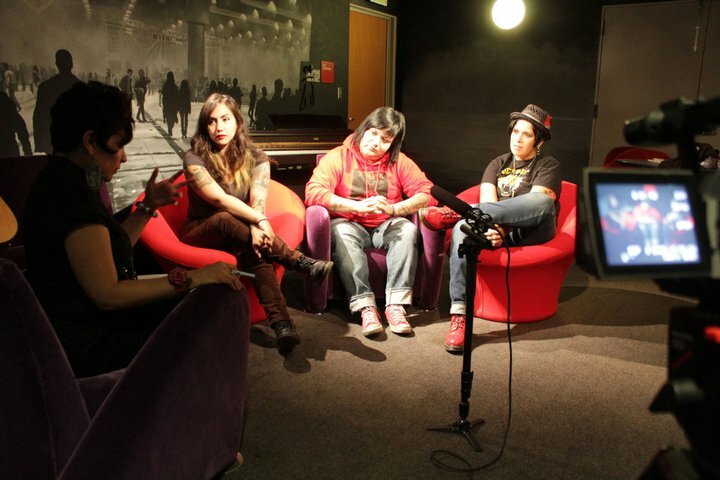 what’s the latest with the Women Who Rock Oral History Project?